Along with the Texas Capitol building, the Pennybacker bridge is one of the iconic landmarks of Austin. The bridge is a simple through-arch design, reducing this type of bridge to its bare elements. My aunt and uncle live near that area, so I get the privilege of crossing the bridge anytime I visit. This photograph was taken on a 100 degree day in the dead of summer. The sky is completely clear, not unusual for this time of year. The bridge is extraordinarily simple and geometric: two arches, connected by parallel beams, with vertical cables supporting the bridge deck. 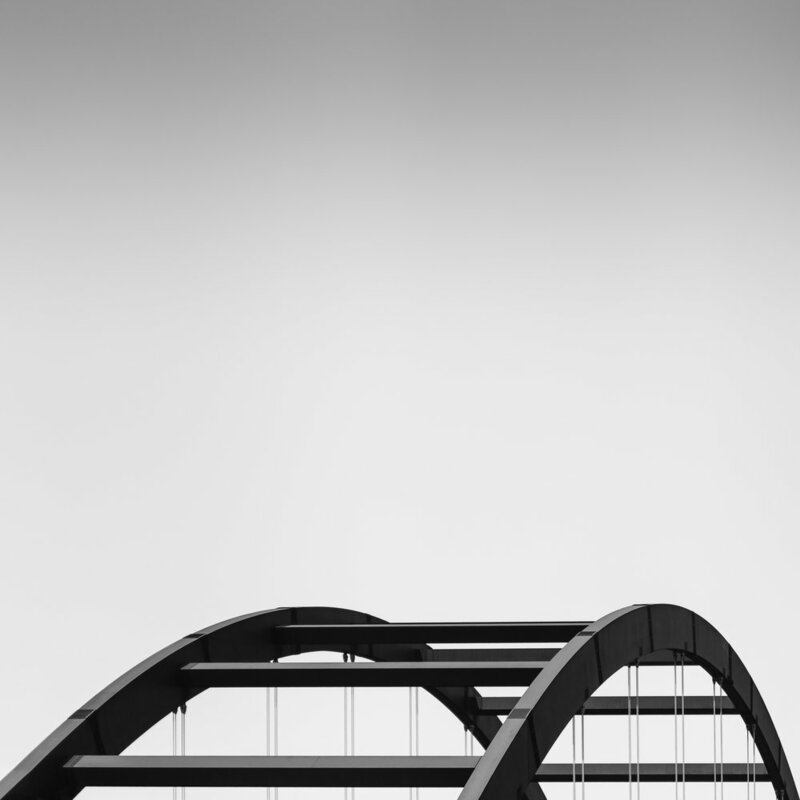 I wanted to portray the bridge for what is it, simple geometry, while removing all other elements from the scene.